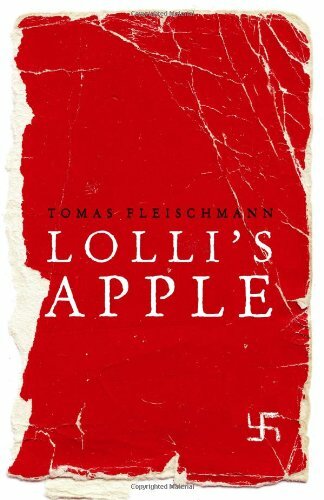 Lolli’s Apple is an autographical account of Tomas Fleischmann’s experience of the Holocaust and, following the Second World War, his emigration to Australia. I always find autobiographical accounts of the Holocaust somewhat easier to read because at least I am safe in the knowledge that the author survived though at times I wondered how. He and his brother (who was born in Terezin Concentration Camp) were two of only 123 out of 16 000 children who went through the camp. Tomas was born into the privileged lifestyle of the landed gentry in central Europe. Everyone in their district knew they were Jewish but it wasn’t until August 1944, when Nazi persecutions intensified, that the family went into hiding. Many of Tomas’s extended family were hidden by villagers (and survived). However, possibly because of his parents’ fears of the difficulty of hiding a young boy or the fact that his mother Lolli was pregnant, Tomas’s family headed for the Slovakian capital of Bratislava where they were shortly discovered. Fleischmann details the brutality, fear and bravery of life in the camps. He writes in an easily accessible manner which does not overwhelm the reader with the horrors of his experience but neither does it shirk this aspect. Powerful images of a train load of Jews left to wander deliriously on the platform as they starve and freeze to death; stark statements such as ‘They don’t build playgrounds in concentration camps’; and explanations of Tomas and other boys walking on the dead in pits as they scatter lime over bodies all encompass a reality that we should never forget occurred in recent history. Despite all of this, this book is a story of hope and the most memorable image is the one referred to in the title. Following the birth of her baby boy in the camp hospital, Lolli splits a precious apple in two and throws half to Tomas waiting outside. This book can and should be read by children. Undoubtedly, adults should be ready to give guidance and understanding of the historical events but knowledge of such events is vital if our world, and our children’s world of the future, is to avoid repeating such atrocities. To further that aim, Tomas Fleischmann is a regular speaker for Courage to Care, an education program which promotes respect, harmony and acceptance for all people and has reached out to over 200 000 Australians throughout our community. The program is targeted particularly at school children.